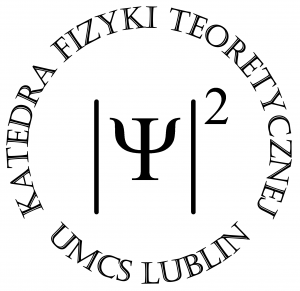 Nuclear Physics Workshop in Kazimierz Dolny is organized for twenty fifth time by our Department. This time Artur Dobrowolski heads the Organizing Committee. More information one can find on the web page of the Workshop and on UMCS web page. From 3 to 7 September, 2018 group of astrophysics from our department attend "BUKS2018: Waves and Oscillations in the Solar Atmosphere" conference held in La Laguna, Tenerife. Prof. Kris Murawski and Mr. Błażej Kuźma will present their work during talk "Heating of the partially-ionized solar chromosphere by 2-fluid acoustic waves" and poster "Can 2-fluid waves explain chromospheric heating and 3-min oscillations?" Group of physicists from our Department take part in Zakopane Conference on Nuclear Physics organized by Institute of Nuclear Physics Polish Academy of Science in Cracow. Jerzy Dudek and Michał Warda give invited lectures. Krzysztof Pomorski and Amelia Kosior present seminars. Bożena Pomorska, Irene Dedes and Jie Yang also attend the conference. The Counsil of the Faculty of Mathematics, Physics and Computer Science awarded Anna Zdeb with Ph.D. degree. Thesis was considered as distinctive. Congratulations! Anna Zdeb will defend her Ph.D. thesis "Investigation of fission fragment mass distribution" on Friday, 15 June at 12.00 in room 613. Thesis supervisor is Prof. Michał Warda and Prof. Artur Dobrowolski is co-supervisor. From 11 till 22 June we host dr. Petr Jelinek from the University of South Bohemia, Czech Republic. Dr. Jelinek is a visitor of Krzysztof Murawski from Department of Astrophysics and Gravity Theory. This visit is funded by the research project NCN OPUS-13 "Numerical simulations of a partially-ionized, two-fluid solar atmosphere”. From 3 till 17 June we host Dr. Abhishek Srivastava from Indian Institute of Technology, Banaras Hindu University. Dr. Srivastava is a visitor of Krzysztof Murawski from Department of Astrophysics and Gravity Theory. 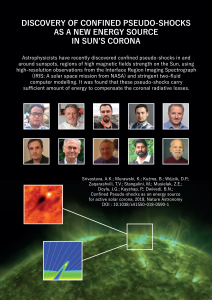 This visit is funded by the research project NCN OPUS-8 "Magnetohydrodynamic waves and plasma dynamics in quiet Sun and coronal holes". From 28 May till 3 June we hosted Prof. Teimuraz Zaqarashvili from Space Research Institute, Austrian Academy of Sciences, Graz, Austria. Professor Zaqarashvili was a visitor of Krzysztof Murawski from Department of Astrophysics and Gravity Theory. This visit is funded by the research project NCN OPUS-13 "Numerical simulations of a partially-ionized, two-fluid solar atmosphere”.